Taft was originally a siding for the Sunset Railroad and has evolved into an oil town. This page will introduce you to information on Taft Real Estate and Taft Homes for Sale. The approximately 9,264 residents enjoy local amenities, stable housing market and low-cost of living. 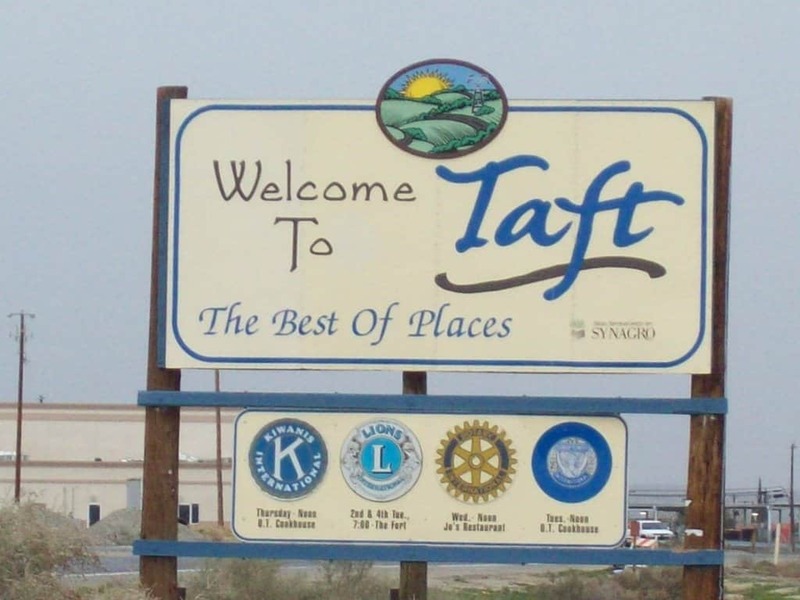 Taft California Real Estate is located approximately 30 miles southwest of Bakersfield. Taft Real Estate cost of living is 26% lower than the average in California. While graduation rate and employment is lower than normal in this area, Taft is attractive for many buyers as housing costs are 57% less than average with a median number of $164,900. Although the crime rate for this area is on the higher side, the number of crimes year over year has decreased over 17%. Taft California is still safer than 9% of other cities in California. Interested in more info on Taft Real Estate & Homes for Sale? Contact Us Anytime! Are you an adrenaline junky? Taft California is the only area in Kern County that offers some exciting outdoors activities for the thrill seeker! Taft has a dirt bike track and skydiving.